Mum’s homemade pasties were filled with mince steak, potato, onion and sometimes carrot, so these cheese filled pasties were quite different and ‘modern’ for her. 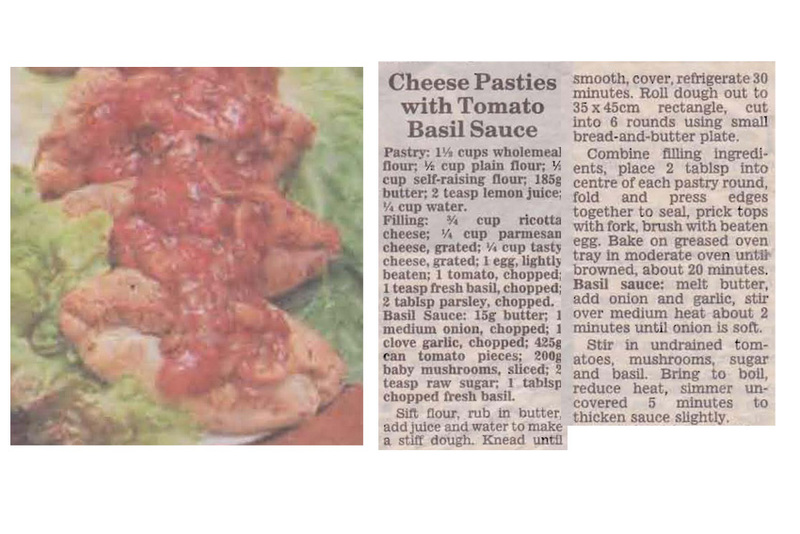 This entry was posted in Savoury Quiches/Pies/Patties and tagged 1990s, basil, cheese pasties, cheese pasties with tomato basil sauce, garlic, mushrooms, onion, parmesan cheese, pasties, ricotta cheeese, tasty cheese, tomato, tomato basil sauce by bebsrecipes. Bookmark the permalink.